We’ve mentioned it a lot of times in our posts before, Palawan is love. We’ve wrote about El Nido in the past, now it’s time to focus on another famous Palawan destination, Coron. Coron is situated in the island of Busuanga and is part of the Calamian group of islands in Northern Palawan. Like El Nido, it’s famous for its striking white sand beaches and turquoise waters. 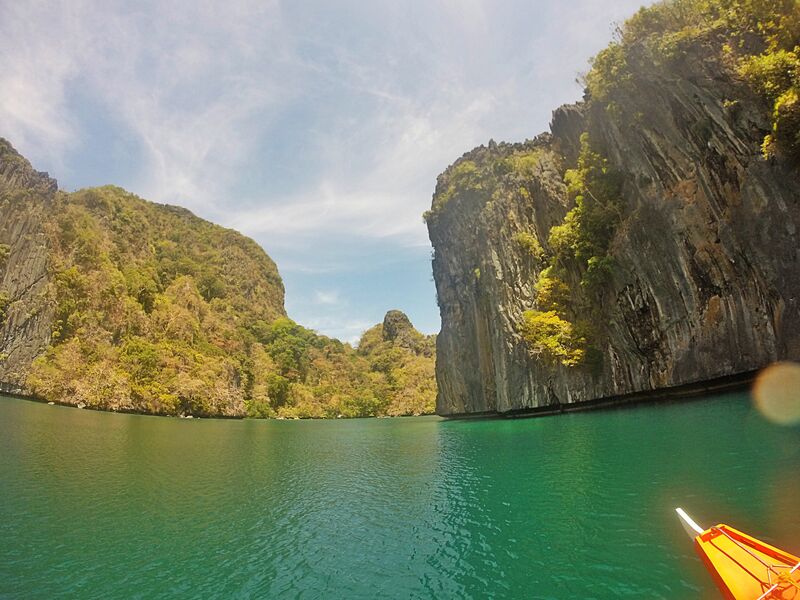 In addition, Coron also features beautiful lakes and world-class diving spots. Widely known for its Japanese World War II shipwrecks, it’s a popular place for diving enthusiasts. Although, we haven’t explored all there is to do in Coron, we’ll share with you our experience and hope it can help you plan your own little getaway to this paradise. Getting to Coron is easy-peasy compared to El Nido. A 55-minute flight from Manila to Busuanga and a 45-minute van ride to town and you’re there. All local airlines have flights to Busuanga from Manila. Check out Cebu Pacific, Philippine Airlines and SkyJet. You can watch out for their seat sales to get the best deal. We got a return flight for Php2,000 for this trip. Once you land on the airport, there are numerous van services that can take you to your hotel or you can set up a pick-up with the hotel you’re staying at. The van ride to Coron Town will set you back Php150 per person for a one-way trip.